Muhamed Jusic was quiet throughout much of our journey and we only learned afterwards why. He had his own story to tell. From the Kenyan mall massacre and the Boston Marathon to renewed violence in Iraq, Muslim extremists capture the headlines. Yet between the grim captions, there are other stories and there is hope. We, a Reform Rabbi and an Orthodox Jew, know this firsthand. We experienced an unprecedented, some even called it an historic trip, that involved 12 influential Muslim imams, professors, and business leaders from around the world. These Muslim leaders agreed to travel with us, some against the opinion of family and friends and with safety concerns back home. Why? Because the trip was to Nazi concentration camps in Germany and Poland and the Holocaust is commonly misunderstood and misused within the Muslim world to foment anti-Semitism and anti-West hate. These leaders felt obligated to bear witness to the truth. They then took home what they saw and condemned anti-Semitism in all forms. 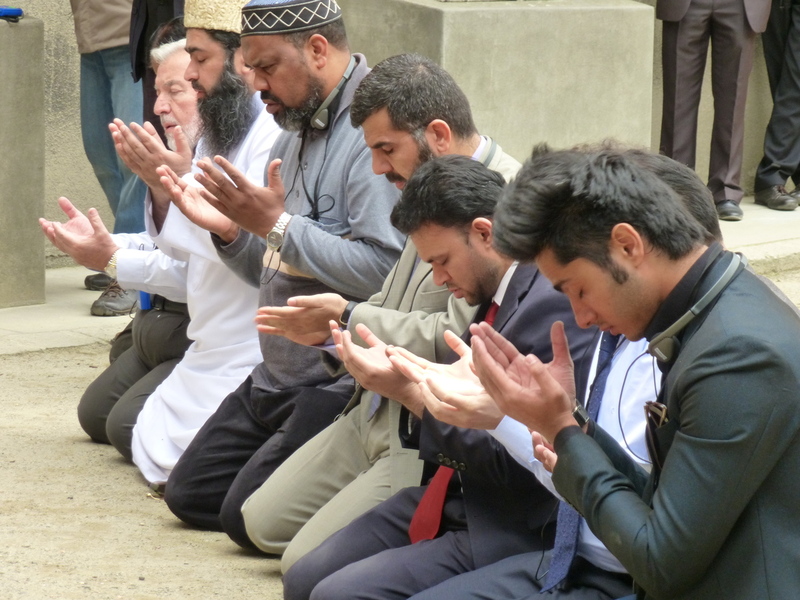 HUNTSVILLE, Alabama – A Christian, a Muslim and a Hindu walk into a university together. And what happens next, according to community leaders, is no joke – walking together can build a more harmonious, more creative, more inspiring place to live. 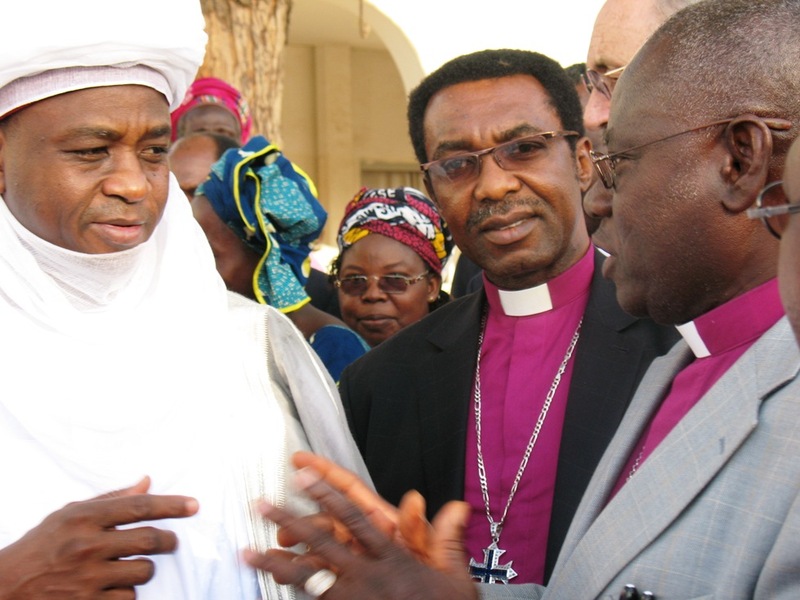 Kaduna — Christians in Kaduna State yesterday joined their Muslim neighbours in a feast to mark the Eid-el-Maulud as hundreds of adherents of both religions gathered at the Conference Hall of the Arewa House. The event brought together, men, women, the young, old, community leaders, Islamic scholars, community youth leaders and pastors. There were interactions, eating and drinking in the spirit of oneness. President of the Peace, Revival and Reconciliation Foundation, Pastor Yohanna Buru, who organised the gathering, said the essence was to bring Muslims and Christians together in unity, love and mutual understanding in order to promote peaceful co-existence. “During the Christmas celebration, I invited my brothers, friends, neighbours and my fellow Muslims, and they came to Sabon Tasha which is considered by most people as a no-go area for Muslims but they came in hundreds, in fact almost a thousand people were present for the celebration. So, I thought it wise to also celebrate the Eid-el- Maulud with my fellow Muslims to mark the birth of Prophet Muhammad (SAW). They showed me love, they believe in Jesus Christ as I believe in Him and as it is said that you do unto others as you want them do unto you, so I decided to celebrate Maulud with the Muslims as a friend and brother,” Buru explained. 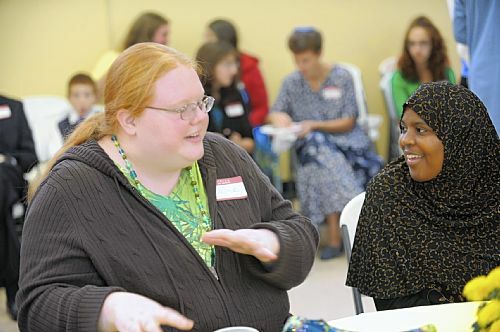 The interfaith movement in the United States is growing. Led by organizations like the Interfaith Youth Core in Chicago, the Pluralism Project at Harvard, and the groundswell movement founded by Ms. Valarie Kaur (to name just a few), more and more Americans are engaging with people of different religious and spiritual identities than themselves. The mainstream media has finally started to pick up on this trend. 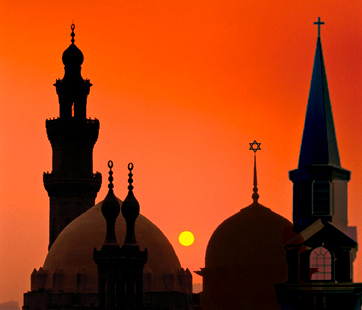 Major news outlets like theNew York Times, Washington Post, Public Broadcasting Service, and The Huffington Post frequently report on interreligious engagement. Friday is a holy day. And Friday is also soup day. Abdulkadir, Efe and Yasmin sit on their little stools and cut several orange peppers into small pieces. The menu for today is pepper-and-carrot soup with homemade bread, which they prepared the day before. Intern Ayse and kindergarten teachers Seyma and Mirela stand at the stove, where they cook broth in several large pots. Twenty-two hungry children, each between three and six years old and representing nine nations, have to be fed later in the day. Meanwhile, a few other children sit in a playroom upstairs, where they learn Turkish. 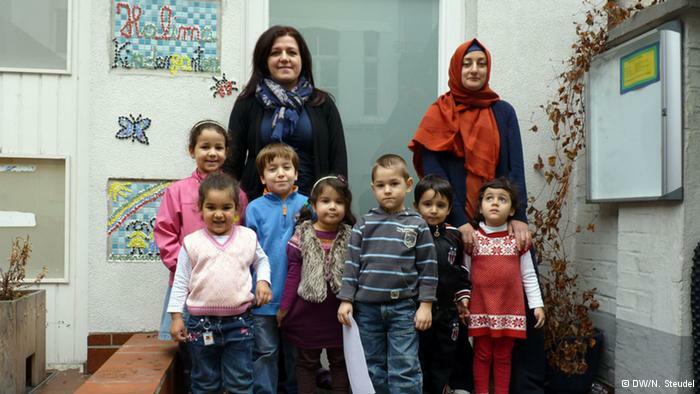 Their teacher was sent by the consulate and comes once a week to the Islamic kindergarten in Karlsruhe. She has drawn different types of fruit on large pieces of paper, which she holds in the air, asking what they’re called in Turkish. The children are enthusiastic. “Muz,” they call out in unison as the image of a banana is held up. “Elma,” they say when an apple comes next. Salih stands out in particular. The six-year-old playfully switches between Turkish and German. Other children here can do the same with Arabic and German. Salih’s father, Mesut Palanci, spoke only Turkish with his son until he was three years old. “So that he could speak his native language perfectly,” says Mesut in perfect German. The 44-year-old is the chairman of the kindergarten’s support association, Halima e.V. He played a major role in the founding of the kindergarten 15 years ago. It was pioneering work at the time and above all, a fight against prejudices and distrust. Before “Halima,” there were only two other kindergartens of its kind in all of Germany. One of them, located in Munich, was shut down a few years ago for allegedly having radical tendencies.